It’s almost the end of January but still the beginning of 2013. A popular New Years Resolution in America is to lose weight/get in shape/eat healthy and I know a lot of us gamers think “Ain’t no one got time for that” but that’s not necessarily the case. There are plenty of ways to play games and stay healthy, and you don’t even have to go outside. In our everyday lives we usually have a lot going on, obligations like work as well as the need for social interaction (i.e. hanging out with friends and family) and eating/sleeping and when all that is added on to the want to play games it seems like there is just no time for exercise or simply staying healthy. 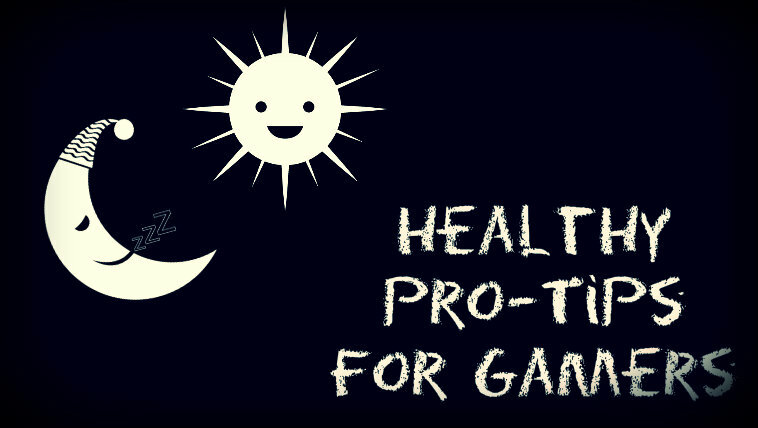 In this post I plan to highlight four easy and fast tips to staying healthy in your life while gaming, and I promise it’s not as hard as it sounds. I know, I know. Exercise games are usually a lame waste of time, right? Wrong. There is nothing hard or wrong about spending 30 minutes of you day doing a quick workout right in your living room. 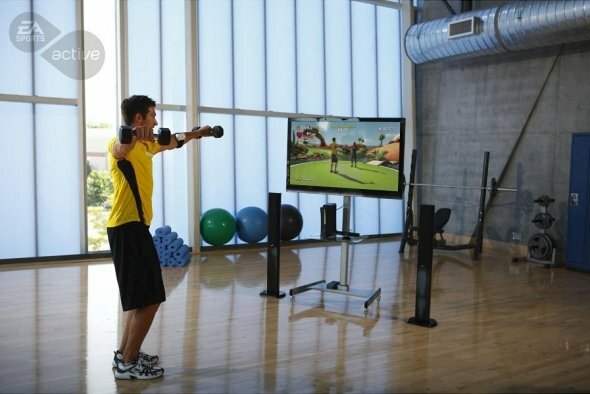 There are a good amount of different exercise games available for people who own a Kinect for their Xbox 360 system or a Move for the PlayStation 3 system. For the Kinect, you can hook yourself up with Nike+ Kinect Training, UFC Personal Trainer, or simply EA Sports Active 2. If those aren’t your thing though, there are others like The Biggest Loser Ultimate Workout and Zumba Fitness Rush. If you have a Move you can acquire fitness games such as the Dance Dance Revolution Bundle, The Fight: Lights Out, and Get Fit With Mel B. All of these games will get you off the couch, on your feet, and working up a sweat. Like I said, 30 minutes a day of one of these is a small time period that can help you out tremendously and hey, some of these can be really fun, so what have you got to lose? This one is a little less obvious to some people, but it’s super easy and will feel great. Next time you are playing Halo, Call of Duty, or any other online multiplayer game take a few seconds between matches (while map voting and loading occurs) to stand up and shake out your legs or do a quick stretch. If you are playing a single player game, it wouldn’t hurt to take a break every 30 minutes to an hour to do a quick stretch either. Come on, these stretches couldn’t be easier and they wont even take up 5 minutes of your day (unless you like to hold the pose for a long time, which is fine as well). A few things you can try out for yourself. 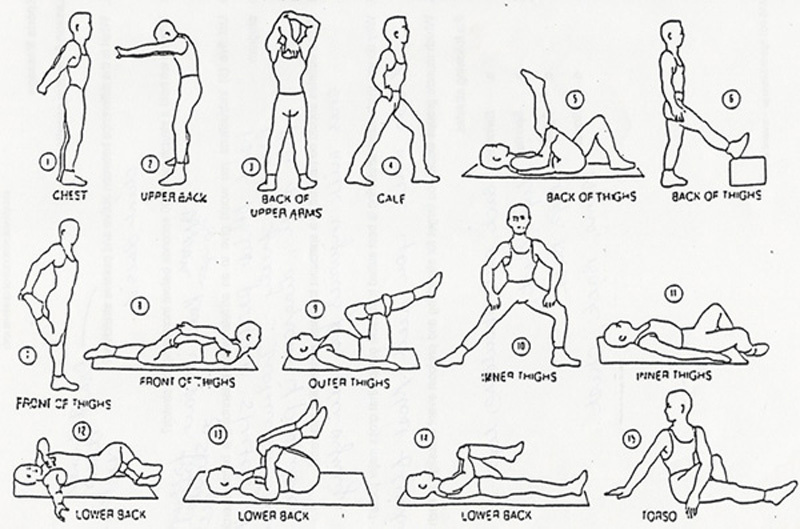 Stretching is great for your body and your muscles, and we all know it feels good to just get up every now and then. You can even do lunges on your way to and from the bathroom or kitchen or wherever it is that you go. Stretching is a healthy and safe way to work a little fitness into your day, and it shouldn’t be neglected. Doing stretches can also relieve stress and tension, which we all know can build up while playing certain games (*cough*online multiplayer*cough*). Stress is a bad thing for your mind and body and when you are getting stressed while gaming, working, or doing other things it can be a very negative thing. Major issues such as anxiety and depression are related to stress, stress can also cause heart attacks and ulcers. None of those things are good, so do yourself a favor and stretch out that beautiful body of yours. We have all heard the sad stories of gamers passing away due to lack of rest, nutrition, exercise, and/or movement. Paired with the things I’ve mentioned above, this step is probably the most important. Sleep isn’t a waste of time, it’s important to your body in many ways. It’s a chance to recharge for the next day and let your body take a load off and rest. It also allows your mind to get strong and stay healthy. I know that some people suffer from insomnia or other sleep disorders that prohibit them from consistently getting a full nights rest, but from those affected sleep is not the only way to rest. People with insomnia or other disorders affecting sleep should consider taking an hour or more out of the night and turning off the game, laying down, and watching a movie or a tv show. This is better than nothing when it comes to getting little to no sleep,and little break from gaming is probably a good thing now and again. Lack of sleep can also affect your weight, so a proper nights sleep can affect more than just your mind. By the way, there is no specific time limit on sleeping. Most people hear that 8 hours is a full nights sleep, but you can sleep for as little or as long as you’d like. Your body will let you know when you’ve had enough sleep, for some it’s 6 hours for others it’s 10. So sleep for as long as you can, whenever you can. 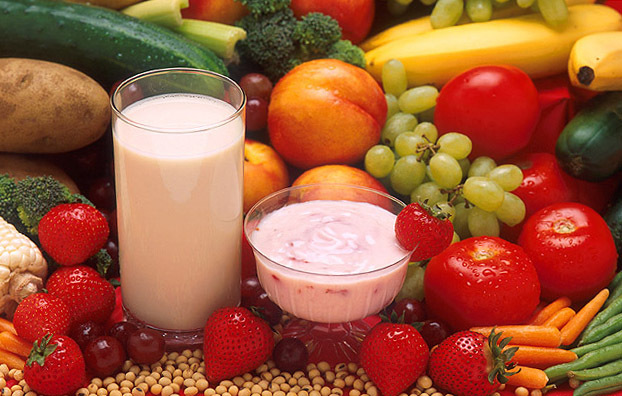 The last part of this post is all about proper nutrition. Nutrition is extremely important, much like sleep is. Gamers like myself enjoy snacking while gaming, as opposed to a proper meal, which is probably one of the worst things to do for your body. It’s a good thing to take a little break and make yourself a proper lunch or dinner as opposed to eating cheetos for both lunch and dinner. Another thing you can do is switch up your snacks to something more healthy. Instead of buying a bag of dorritos get a box of granola or even a bag of baked chips, which aren’t perfect but are better than the dorritos (I think there are even baked dorritos now). There is nothing wrong with a healthy snack between meals but these snacks should never replace a meal. Now by meal, I don’t mean greasy pizza or fast food every night, I mean something like a piece of salmon or baked chicken and some veggies (which is cheaper and easier to make than you’d think if you purchase frozen fish/meat and steamable veggies). Take at least 30 minutes for each meal to cook and eat it. Cooking at home is much better for you than eating at McDonalds, so keep that in mind when it comes to eating. When it comes to liquids/drinks, try to stay away from energy drinks and soda and aim for more water and fresh fruit juice. Energy drinks are just absolutely awful for you and soda is not much better, one here or there isn’t the worst but these drinks should never replace sleep/rest or healthy drinks like water. Avoid the unhealthy and shoot for the healthy when it comes to food and drinks. I hope that these tips help you out. Remember, I am no expert, these are just suggestions. If you have more questions you can google search medical research or plan a visit with your doctor or nutrition expert (hey, some people have those). Stay healthy friends and don’t forget that as of right now, we only get one body in a lifetime so treat it well. Game on!